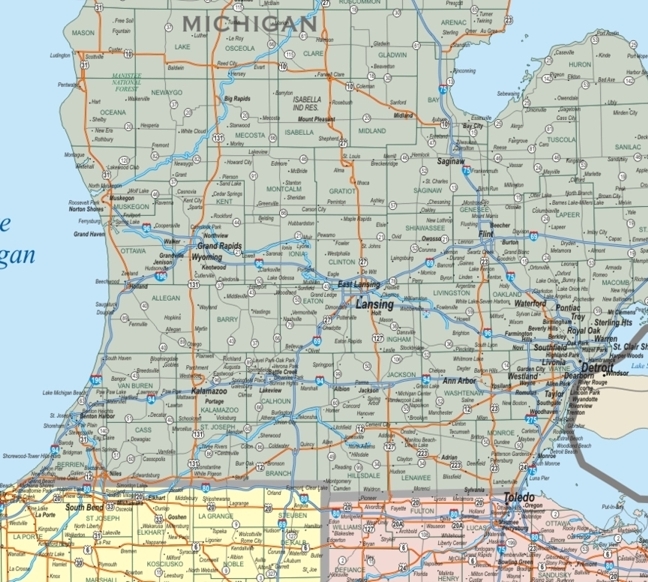 Great Lakes area business wall map shows HIGH DETAIL including Counties, Cities & Towns, Interstate, Federal and major State Highways, Water Features. Laminated for durability and eraseable marking. Scroll down for details & zoom. 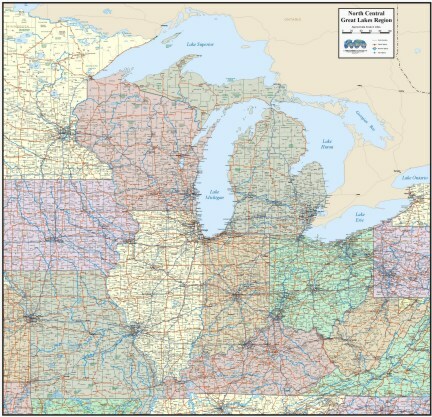 Our Region Wall Maps are printed as ordered, please allow for a couple days in production.